HOW WOULD YOU DESCRIBE YOUR APPROACH TO INTERIOR DESIGN? My approach is first and foremost a personal one. I start by spending time talking with my customers. Often I suggest that a customer bring along a selection of cuttings of concepts, pictures, or other examples of things they really like, and I rely on a range of well-chosen questions from which answers I elicit and interpret their tastes, preferences and deduce a potential design theme. 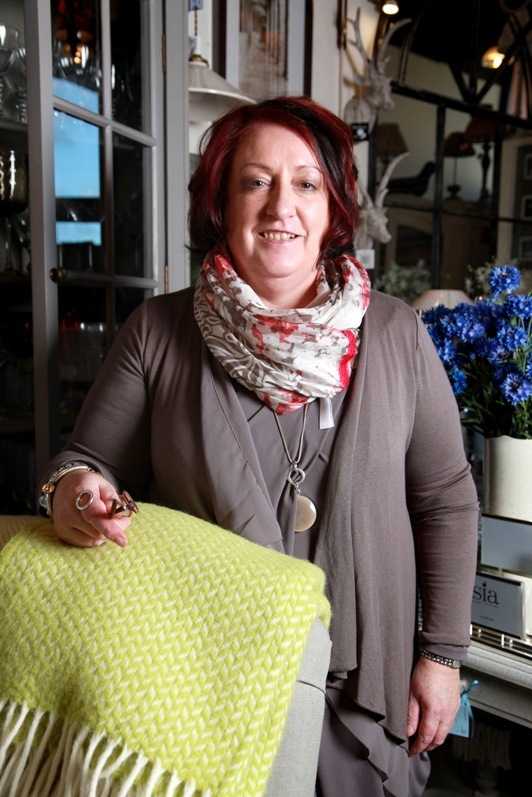 Some customers come to me simply saying “I love everything in your shop” which makes it very easy for me to classify their taste – then it’s French Country with a Classical Twist, just like mine! WHAT FOUR WORDS SUM UP YOUR DESIGN PHILOSOPHY? WHAT INTERIOR DESIGN SERVICES DO YOU OFFER? At Elizabelle we offer a complete design service as well as a range of individual services such as colour consultations in a client’s home and bespoke curtain and blind making (including fitting). In store we have an extensive fabric and wall paper library for customers to browse and choose from and I also offer a project management service. 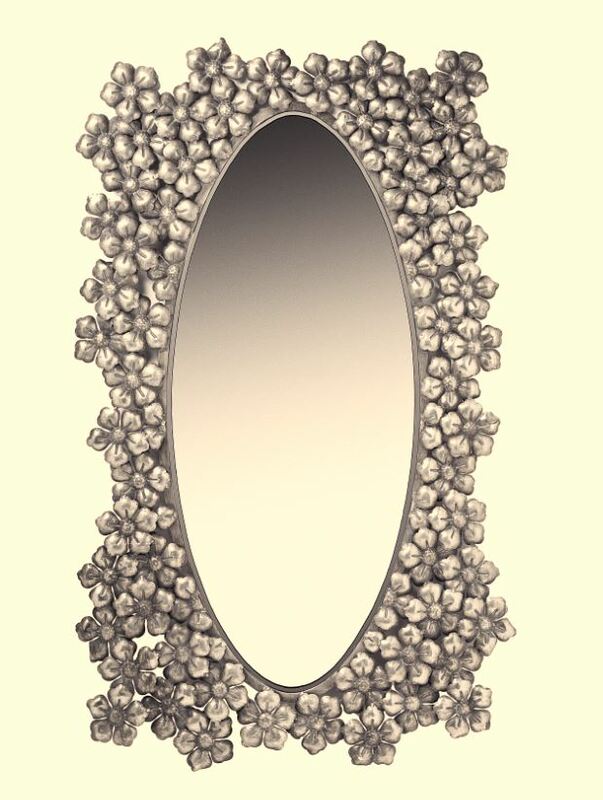 One of my most popular (and most personally rewarding) services is sourcing the perfect piece of furniture or accessories for my clients – their very own ‘pièce de resistance’ as it were. WHAT RANGE OF PRODUCTS CAN YOU OFFER CUSTOMERS WHEN IMPLEMENTING A DESIGN PROJECT? At Elizabelle customers can source everything from a teaspoon to an oversized sofa! 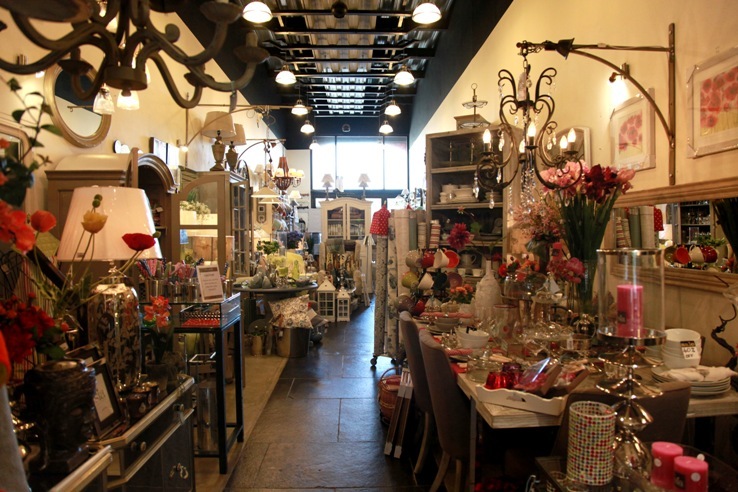 From season to season we stock meticulously selected ranges of kitchenware, lighting solutions, mirrors, furniture, accessories, fabrics and soft furnishings as well as home fragrances and styling ideas to suit many different tastes and every budget. 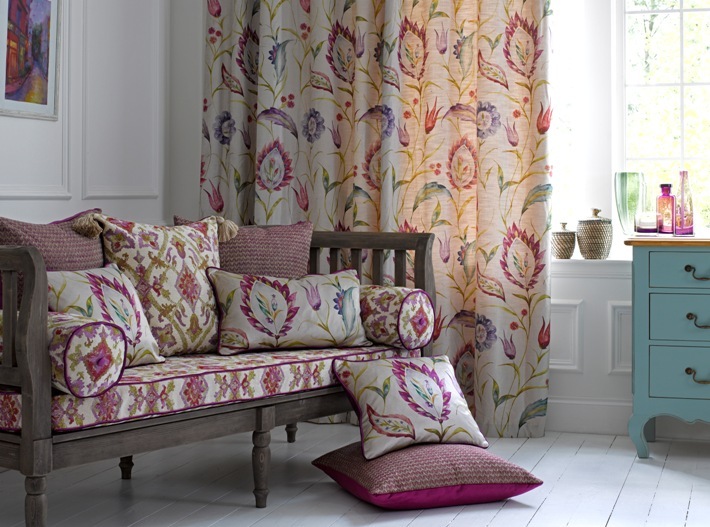 Above left is a striking silver mirror by Sia and right, fabrics from the Highlands collection by Voyage Boutique evoking the russet and berry colours of the Scottish highlands. Sofa in Iona Raspberry and cushions in Orla and Lachan. ARE THERE ANY EXCITING PROJECTS OR PLANS IN THE PIPELINE FOR THE COMING MONTHS? Yes indeed! One of my current design projects is on a passive house which is an exciting opportunity and is allowing me to bring my creativity into a new realm. Also, we are running our hugely popular twice-monthly one-day workshops on using chalk paint by Annie Sloan where customers learn to upstyle and/or recycle old furniture and fittings. These will continue through till October. Workshops run from 10am to 4pm. All materials are supplied and lunch is included. Class sizes are limited so please do email or phone us to find out more and to sign up to one of the classes. 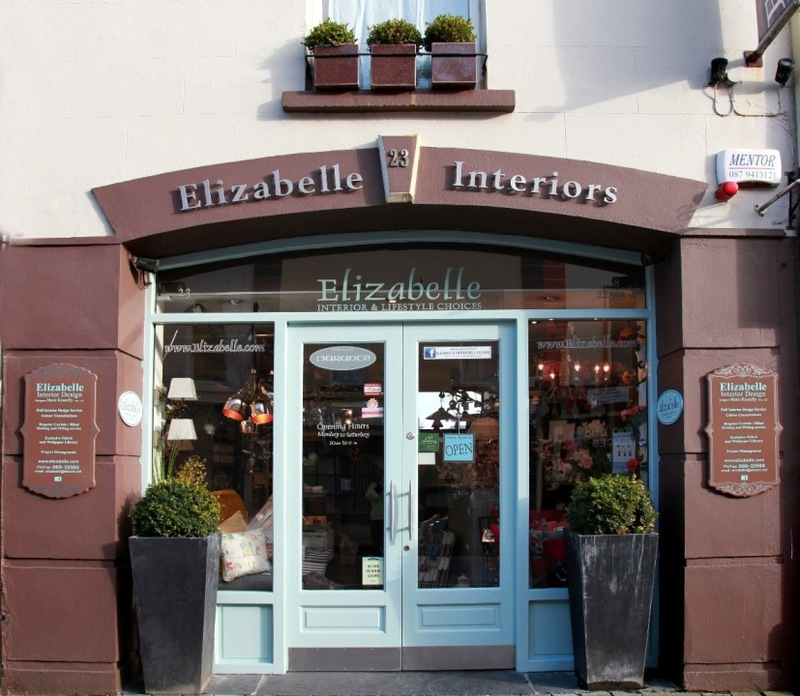 Tags: Elizabelle, fabrics, furnishings, interiors store, Kerry. Bookmark the permalink.